I stamped the main image in StazOn Jet Black and coloured in the letters with Stampin' Write Markers in Crushed Curry, Bermuda Bay and Crumb Cake. I actually got this colour palette (plus Basic Gray) from the Bermuda Bay Celebration Add-On Kit in the Occasions catalogue. I really love this combination! The little garland is made with some two-step stamping using the Happy Congratulations stamp set, also from the Occasions catalogue. I hand snipped it and mounted in front, rather than behind the main image. Hard to see, but the Crumb Cake background panel has been embossed with the Decorative Dots Textured Impressions Embossing Folder which you will be able to earn for free with a $60 purchase from Stampin' Up during Sale-A-Bration. The ticket is stamped with an image from That's the Ticket stamp set and punched out with the Ticket Duo punch. The splatter pattern (sounds like CSI) is from Gorgeous Grunge and is inked with Crumb Cake. I loved making this card because the sketch was so motivating and interested. Thanks, Amanda. You've got to try this one out! 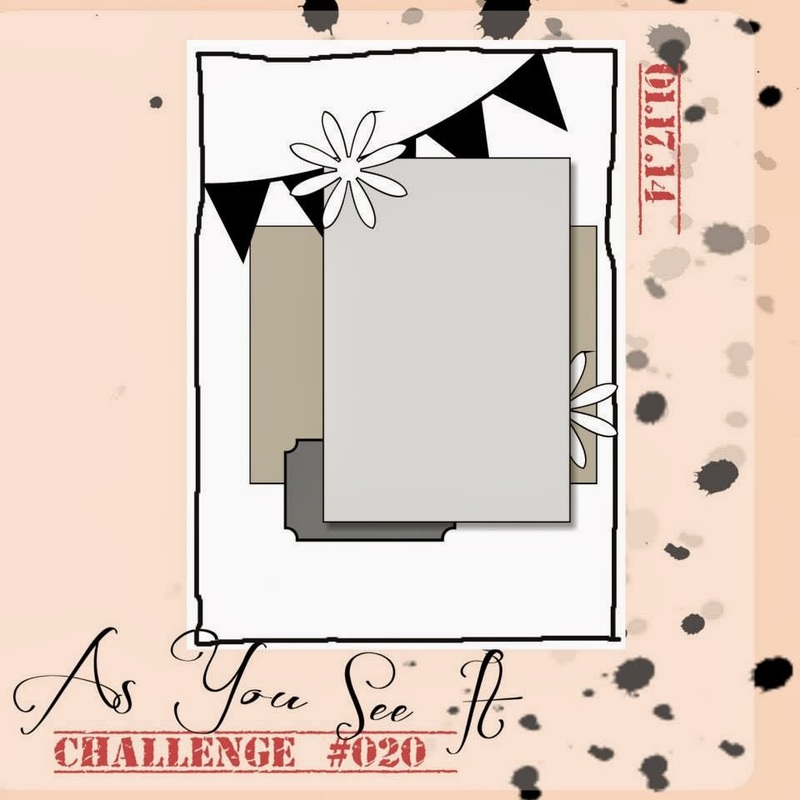 Follow this link: As You See It Challenges. I have both these stamp sets and I never would have thought to put them together. Love this!